Are you ready to be scrambled? 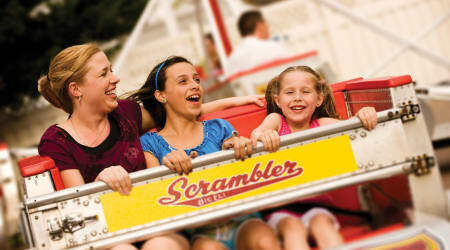 The Scrambler, located in the Founder's Way℠ region, sends guests into a flurry of high-speed spinning motions that may result in uncontrollable laughter. Thrill seekers of all height categories permitted.